I love everything about Lily, and everything about Emma and Lily. I made a video and a playlist and I’m dressing as Lily for NYCC. This episode is a large part why. In the past, Emma is happily settling into a nice normal type family with little brothers, camping, and a chore wheel, when who should appear but Lily. Emma is wary, and still mad about their last meeting, but Lily pulls out a “you said we were friends forever” and Emma can’t help but respond. She doesn’t out Lily to the fosters, not even when it becomes clear Lily was recently involved in armed robbery, and even agrees to go out into the mean streets to get Lily’s necklace – the only thing she has left from her mother – back for her. Unfortunately the fosters find out that Lily is a criminal when she steals their vacation fund and accuse Emma of endangering their children so bye bye nice normal family. Lily thinks that’s all for the better and wants to use the money to skip out on the system and make their own way. But Emma wants nothing to do with her and throws the necklace and Lily out of her life. SOB. In the present, Cruella is dead so Isaac and Rumple pretend to care while Emma glares from the sidelines horror movie style. When she gets bored with that she bops over to Grannys where the family is having breakfast. Emma announces she’s going to go after Rumple because she’s decided he’s actually to blame for all this mess (!!!!) and I throw a party in her honor. Maleficent appears, throws her hat in with the heroes and asks Emma to find her lost daughter, Lilith. Yes, Emma, that Lilith. So Emma and Regina go on a road trip to find Lily for Maleficent and save Robin Hood from the Wicked Witch of the West. And sentences like that are why I love the show. 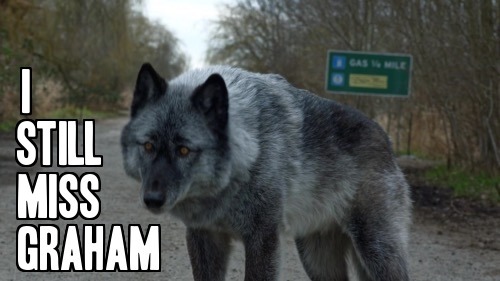 Also a wolf appears to lead Emma to Lily via car crash just like in the pilot. Lily tries to play Emma off like she’s fine now, no worries, got a job and a kid and a happy life of her own so take your crazy and go. But Emma’s spidey senses are on high alert. 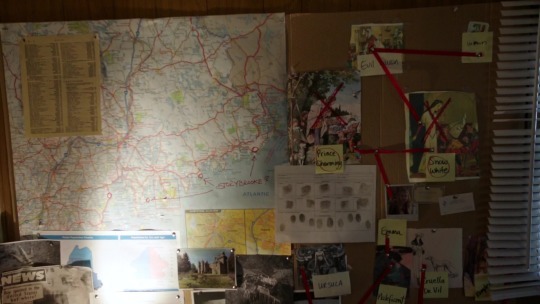 Regina thinks it’s just Charming Guilt but she’s proven wrong when they find Lily’s Murder Wall (see below). 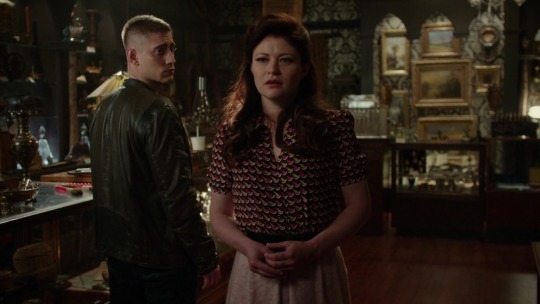 Turns out Old Man Mickey bopped over to our world to tell Lily the truth about her exile (I do not know how to feel about that? On one hand Lily has an out in that she knows it’s not her fault every decision she makes turns out wrong, she’s not doing it to or by herself. But on the other hand, being told by a complete stranger/creepy old man that you are the daughter of a Disney Villain and were cursed by the original Disney Princess to not only grow up in the Land Without Magic without your family but to also be a harbinger of doom, gloom, chaos and disaster who is spiritually incapable of making good choices and destined to live a life of darkness forever is not going to make a girl feel LESS crazy, troubled, damaged or alone.) Lily knows who she is, who her mother is, who Emma is, who Emma’s parents are, and all about Storybrooke, and she’s been plotting to …. do something … for some 10-12 years. While Swan Queen are trying to piece together exactly how dangerous Lily is, Lily steals Emma’s bug, with the scroll into Storybrooke inside. Emma’s GryffinROAR Saving People Thing jumps into high gear and she speeds after in Lily’s car, Regina riding shot gun and trying her best to be the voice of reason. 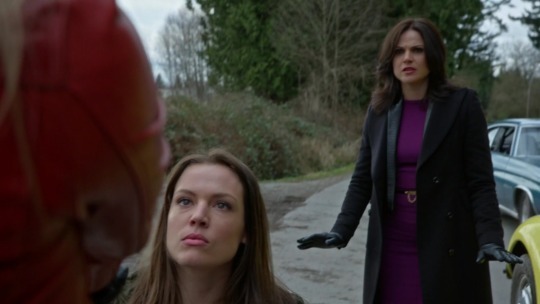 WHEN REGINA MILLS IS THE VOICE OF REASON YOU ARE IN TROUBLE. 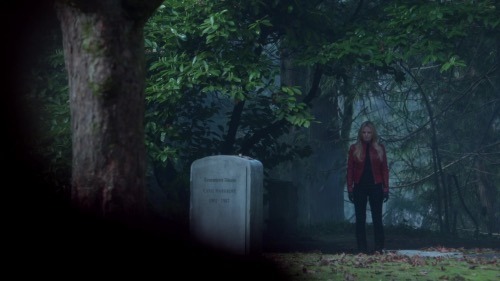 Emma is able to run Lily off the road, where they get into a fist fight that ends when Emma pulls her gun. This entire sequence is amazing. Emotions are running extremely high. All three of these women have been pushed to/past the breaking point by outside forces wreaking havoc on their lives and robbing them of their agency. 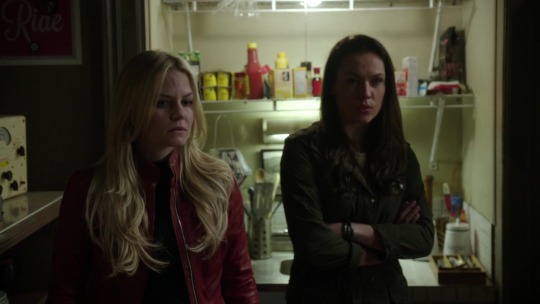 Emma reacts with a show of force and Lily reacts with a show of submission – contradicting their assigned roles of Savior and Anti-Savior – and Regina is left to talk Emma down with empathy (!!!!). Emma does the same for Lily. She’s not going to let it happen again. And the best part is Regina is able to save Emma through compassion because Emma showed Regina compassion, and solidarity, when no one else would. IT’S SO BEAUTIFUL. There was also a subplot with Rumple and Will teaming up to steal Belle’s heart back from Maleficent who was guarding it for Regina. And in the last 2 minutes Zelena’s absurd insane inane plot to steal Robin away from Regina by pretending to be Marian (GROSS) is revealed to Robin but it’s too late because she’s pregnant. Robin: Why is this my life? Regina: WHY IS THIS MY LIFE? 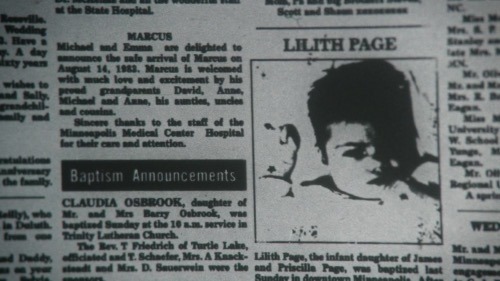 Lily: At least you know these people.